This week I decided to ask Darcie what book we should share, I already knew the answer. 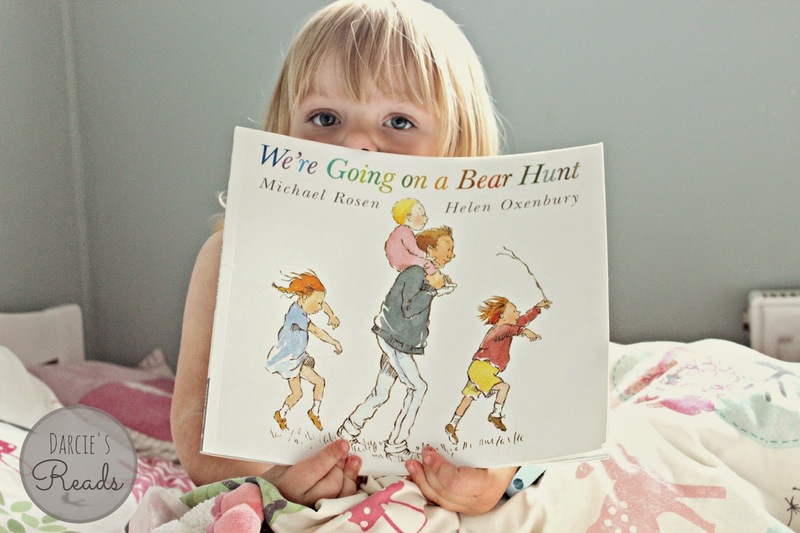 She immediately went to her room and picked out the classic We're Going on a Bear Hunt by Michael Rosen & Helen Oxenbury. 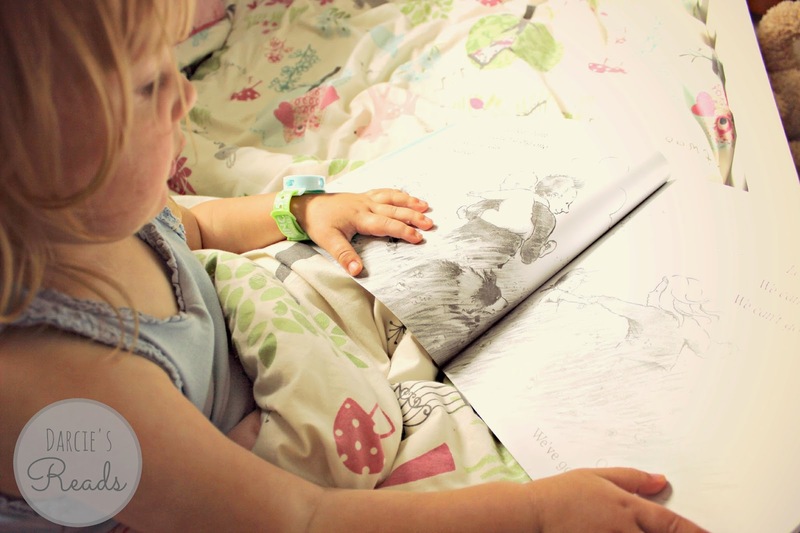 Every night this week she has been asking for this during bedtime - its one we like to read together. In fact, we have read it so many times I think we both know it off by heart! 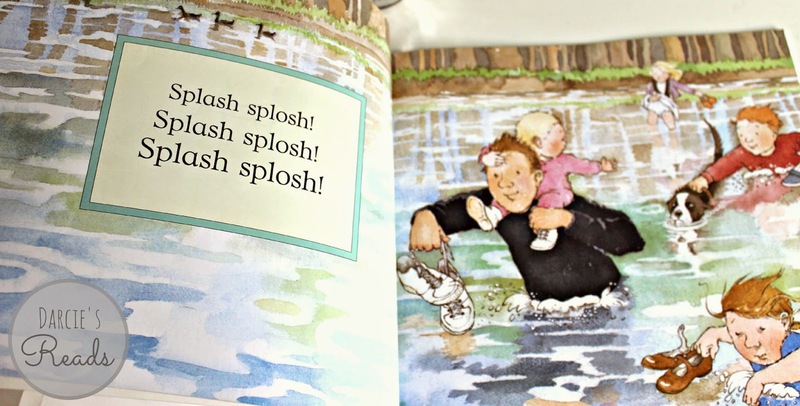 Because of the repetitive nature of the story, I think its a story all toddlers will love. I'm even thinking of doing a little activity where we act out the story when she is a tiny bit older (she may even enjoy it now!). Having just checked out some other review's of this book, a lot of parents claim that even their children who are very reluctant to read enjoy this story - so definitely give this story a whirl if you have children who perhaps struggle to "get into" books. 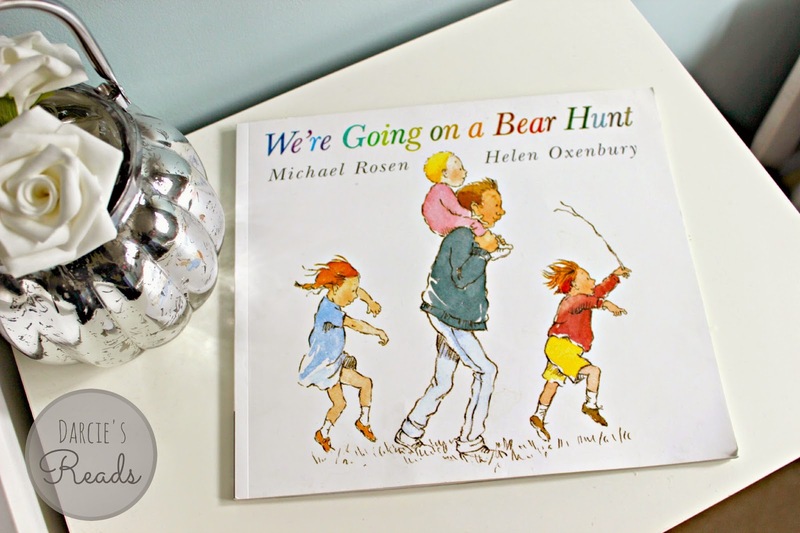 We're going on a Bear Hunt is a book that should be on every toddlers book shelf, you can get your copy HERE. If you want to see the other books covered in this series click HERE.